Looking for a venue for your next meeting, conference, trade show, dance, concert, party, reception or reunion? 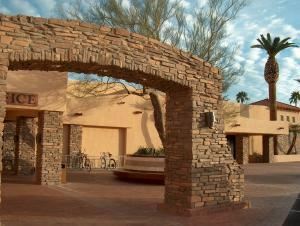 Mesa Spirit has facilities on property that will hold from 50 people in one of our smaller, more intimate rooms, to up to 500 people in our large ballroom which includes stage, sound system and A/V equipment. Tables and chairs are provided; we can work with you on decorations, linens, and any other needs you may have. Full service catering is also available no matter which room you choose. Beautiful property with a ballroom, 3 swimming pools, a billiards room, picnic areas with gas BBQ's, fully furnished rental properties and RV spaces available for your guests to stay during your event. A large wood floor open space 126'x66' that we can set up to accommodate any of your needs. Special Features: Stage with sound system.